Stat of the day: $122m. That's how much Edvard Munch's famous piece sold for at Sotheby's action house. It is the most that an artwork has ever fetched at auction, in a £74m clean win by an anonymous buyer in New York. The pastel piece is one of a collection by the Norwegian artist and was completed in 1895. 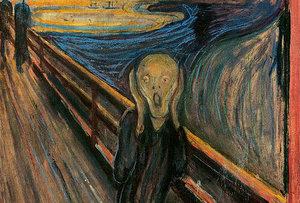 There are three other pastels in a series with The Scream, but they are already owned by other museums: this was the last one still in private ownership. Sotheby’s said their version was the most colourful of the four works.